For this trip guests need to be at least 21 years of age, we are unable to accomodate guests under 21 years of age. Thanks to our friends at The North Face for hosting and hooking all our guests up with a special 20% discount on Sat. 4/27. Use code TNFTAP2019 at checkout. 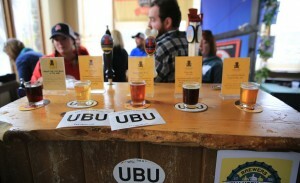 It’s the 22nd Annual TAP New York Craft Beer & Fine Foods Festival at Hunter MT. 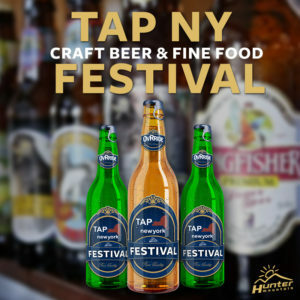 With the encouragement and support of New York State brewers, guest breweries, cooking demonstrations, Hunter MT, and all the beer lovers from New York and beyond, the Hudson Valley Beer and Food Festival (Tap New York) is proudly the longest running beer and food festival in New York State! 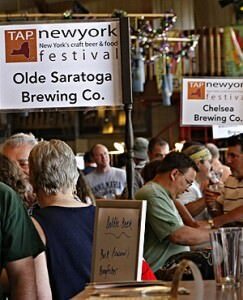 Tap New York & Hunter MT are honored to once again to present the best beers New York has to offer. For those thinking of joining us for the first time and it is important for you to know that the festival is not just about beer. It’s a great day away in the Catskills with live music, beer-friendly food, good times, great people… and beer. This year the festival is featuring an eating experience down “Memory Lane”, recreating a sampling of the best food from the last 16 years. Join us for a cheers to the great season behind us at Hunter MT, and the great season ahead. Come visit all the our brewers, enjoy the great food and remember to register for the “All the Beer You Can Carry” drawing. Yea… that’s a real thing (perhaps cargo pants?). Hope to see you there!